Samsung is facing lot about company's reputation after its Galaxy Note 7's fiasco. But the Samsung is ready to come back with its latest upgrades in new variant Galaxy S8. Samsung was planing to launch S8 in this February 2017 but as the news comes it may delay the release in April. Before Samsung will say anything, lot of details about Samsung Galaxy S8 have already been leaked. Leaked image of Samsung Galaxy S8 given us the first brick look. 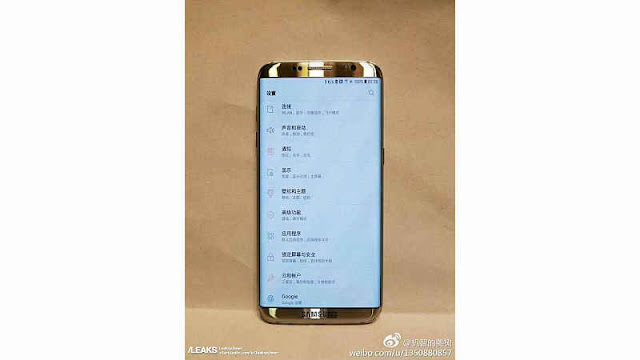 Leaked image shows us Samsung branding at the front which has been shared by Slashleaks is said to be upcoming Galaxy S8. We can also see the smartphone features dual edge curved display in the leaked image. Samsung will release Galaxy S8 in two screen sizes as the previous rumors. 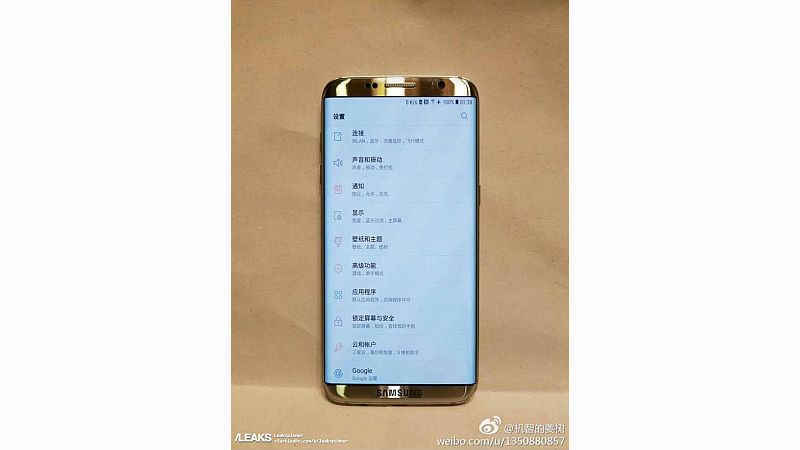 The image shows Chinese text gives idea that the handset may be a prototype unit which Samsung is working. We can have idea from the image that Galaxy S8 will come with greater screen to body ratio compared to Galaxy S7. Samsung also replace physical home button in Galaxy S8 variant. Tipped from an earlier report Galaxy S8 may dumped 3.5mm headphone jack and camera will come with auto focus feature. Rumored also suggest Galaxy S8 will come ith 8GB RAM and will have a big screen variant called Galaxy S8 Plus featuring 6 inch display. Galaxy S8 is expected to debut Samsung's pressure sensitive technology similar to Apple's 3D touch.